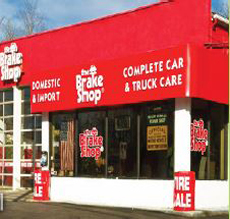 This Tilden Car Care Center ideally located in Central New York, has been established for 18 years. Current owner is retiring and will train and assist new franchisee as needed. Financing may be available for the qualified candidate. This location has a long lease with great terms. It is fully equipped and has a great loyal staff in place. This is a fully Turn Key Operation, ready to be enjoyed by a Fresh Operator. The Tilden Franchise Program is a great opportunity, carefully planned, already successful and available to qualified people. You will benefit from a management team whose concept, methods, systems, and training were proven and perfected for 90 years since 1923. The demand for quality service or replacement of brakes, exhaust systems, shocks, suspension, oil changes, engine repairs, and other related services is at an all time high. Tilden Your Total Car Care CenterTM are getting an increased share of the business each and everyday. Since the average American household owns two or more vehicles at any given time, a full service Tilden Your Total Car Care CenterTM generates significant repeat business from loyal, satisfied customers who recommend family members and friends.